It's official: Spotify is here to stay. The free, ad-funded online music streaming service has agreed terms with the Performing Rights Society (PRS) and can legitimately continue to operate in the UK. The news was broken by SamKnows Broadband, who spoke to the PRS about the Spotify situation, and found out that terms have been agreed. The PRS has not been entirely successful in getting all music-streaming sites to agree how much is paid to performers, with negotiations still happening with YouTube. So it's good to see that a big name like Spotify is on board. The PRS recently announced changes to its music-streaming rates which will kick in 1 July. It will now be cheaper for music-streaming sites to operate, with the minimum per-stream payment set to 0.085p, down from the previous rate of 0.22p. 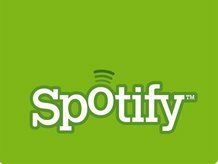 Spotify was launched in late 2008 and has become incredibly successful in such a short amount of time. In the UK, the music service started off as invite-only, but was open to everyone in February. The ability to share playlists with other members and some exclusive pre-release material has meant that it has garnered a strong and loyal user base. Although the use of adverts on the site has started to grate on regular users – because of the lack of variety in the ads, rather than the advertising itself – there is a subscription-based model also in place.